An international team of researchers have created a contact lens that reportedly magnifies light in such a way it will let you zoom in your vision by 300% (and will reportedly be available for sale in the next 2Ys). We know what you are thinking - how does that compare to an eagle's vision? Well, the eagle has such great vision it can reportedly see an ant crawling on the ground from the roof of a 10 story building (about 700% better than we can). So, while you won't have vision that amazing with this new invention, you should be able to make out an ant crawling on the ground from a 4 or maybe 5 story building. That is truly amazing and we wonder what really interesting opportunities for the future it may create as well. For bankers, when it comes to asset liability management (ALM), seeing into the future and trying to manage risk can sometimes be as tricky as making out something small on the ground. As with the super cool lens above, however, technology can be your friend and you can get much better ALM results. Consider that when you are a regulator during a credit crisis occurrence; the first order of business is to tamp down credit leverage to reduce exposure, as you simultaneously push for higher capital levels to protect the system. Since this is now largely done, you may wonder what comes next. Well, low interest rates have been supercharging the economy for some time and now that unemployment has dipped into the full employment range (5.0% to 5.2%), talk is swirling the Fed will soon raise interest rates. No matter what you think about the timing of potential rate hikes, the regulatory lens has definitely increased its focus around risk management here. Over the past few years, regulators have increasingly ramped up expectations around ALM (during exams), despite the fact that no new regulations have been released (no new FILs). That is likely because regulators have already done the job by releasing warning after warning over the past few years to bankers to be sure to have a handle on funding and rate risk in the event rates begin to rise. For their part, bankers have been extremely busy trying to make money and originate loans after the credit crisis (plus rate hikes seemed far away), so focus has admittedly been blurry here in the past few years. 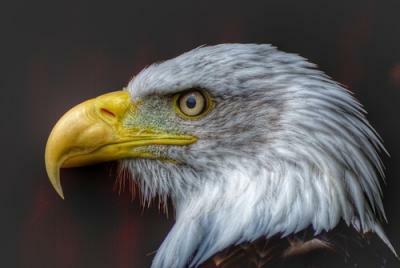 To avoid the sharp talons of the regulatory eagles that will swoop in over the coming months to examine your bank around ALM, we offer the following baseline advice: look closely at key modeling assumptions and make sure they reflect your historical experience and make sure you have stressed your assumptions to understand how they can impact your bank. The key assumptions we are talking about relate primarily to prepayment (how do assets prepay or extend as market rates move), decay (what is the average life of each deposit and what happens as rates move), beta (how do different deposits reprice as market rates move) and deposit shifting (what happens to liquidity and other factors when DDAs expand or contract as rates move). We will be back in another edition of this publication soon to help you prepare further in this area. In the meantime, we hope the information provided here helps your team see rate risk through a sharper lens, as you consider the weaknesses and potential risks of using a less than robust ALM system much longer. Regulatory expectations are rising here, so we suggest ramping up your preparations and reporting in coming months as you put an eagle eye on the assumptions that drive your ALM model. The entire industry is shifting into a more dynamically challenging rate risk environment, so it is time to take flight. Treasury yields dropped 4 to 5bps and equities sold off as corporate earnings disappointed. Mortgage applications and existing home sales will offer a reading on the housing market. PeoplesSouth Bank ($492mm, GA) will acquire 6 FL branches from Cadence Bank ($8.1B, AL) for an undisclosed sum. Fed governors voted unanimously to impose additional capital surcharges on the 8 largest banks, as a further cushion against unexpected losses and reduce the potential for future financial bailouts. The aggregate surcharge is about $200B and the banks impacted are JPMorgan, Citigroup, Bank of America, Goldman Sachs, Morgan Stanley, Wells Fargo, State Street and Bank of New York Mellon. Zions Bank (UT) said it will lay off up to 7% of its employees (about 770 of 11,000 total) and close 23 branches as it seeks to cut costs and improve efficiency. The CFPB has fined Citigroup $770mm related to deceptive marketing and unfair billing practices around its credit card add-on products (such as debt protection and credit monitoring services) and for deceptive collection practices on delinquent credit card accounts. Restitution is due to about 9mm consumers. A survey by Deloitte assessing global risk management practices in the financial services industry finds 85% of respondents said their board of directors currently devotes more time to oversight of risk than it did 2Ys ago. The most common board responsibilities are to approve the enterprise-level risk appetite statement (89%) and to review corporate strategy for alignment with the risk profile of the organization (80%). A Bank Director survey of bank executives and board members on risk finds the following as the biggest risk management challenges: keeping up with regulatory expectations of risk management practices (61%); preparing for cyber attacks (50%); maintaining the technology and data infrastructure to support risk decision making (48%); creating a culture that supports bank-wide risk communication and assessment (43%); clearly defining the institution's risk tolerances (39%); having the in-house risk expertise (23%); and making a financial commitment to technology, consulting or training (17%).